What if told you there were ways to rent an RV for almost nothing and all you were responsible was for the gas? And yes, you could drive the RV unlimited miles and keep it for more than seven days! Or what if there was a way to rent an RV from someone else, similar to that of an Airbnb and it could cost you a few dollars a day? Whether you want to take a trip across the United States or you want to visit a local campground a few hours away, I wanted to share with you some strategies I used in the past when I was thinking about renting an RV for a road trip. Now, before we get started, I want to explain how this situation works. In most cases, to get the BEST deal, you will be asked to move an RV from one place to another. Basically, the company needs someone to move an RV to a hot spot and they are willing to give you the RV for nothing, making it a win-win. You get to enjoy the RV, while the RV company gets their RV moved to the hot spot. This is referred to as a “relocation rental” in the industry. On the downside, however, you will need to find a way to get home since most of the greatest deals you will find will be one-way, but since you’re paying next to nothing, with the exception of gasoline, the trip could still be extremely cheap, even with the airline tickets factored in. While this isn’t the only way to get a deal, there are some other ways to save if you want to find a round trip deal as well. What if I told you that you could rent an RV for $1 a day AND sometimes, they would even throw in a few hundred dollars for gas? I know, it sounds kind of clickbaity and like a scam, and I agree, but it’s true. 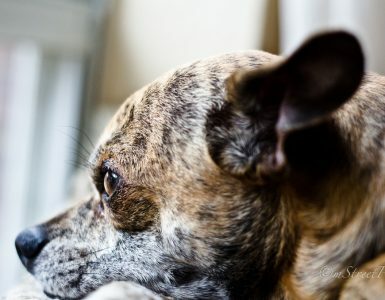 With imoova.com, they are looking for people who are willing to move an RV from one city to another, essentially making it a one-way move, meaning you need to find a way back home, but if you do not mind finding a way back home, then you may want to search the current relocation options. Whether it’s from New York to Orlando or Los Angeles to San Francisco, the daily rates are almost always less than $25 a night, and in some cases, they will even throw in a few hundred dollars for your gas! To search the current relocation options and the restrictions, you can do so here. Via this list, you can view the nightly rate, the nights allowed for your trip and more information as to how to book the RV if you’re interested. Aside from the United States, they also had listings for Australia, New Zealand, Canada, the UK and Europe. Be sure to keep checking the list as it does change daily! Working a lot like imoova.com, Apollo works in the same way, but when I researched this list, I found a lot more options with free fuel credits. Take a look at the screenshot below, for example! Here, you can search the daily deals, and again, these are one-way deals, which means you will need to find a way back, but I cannot stress it enough, this is how you find the cheapest RV deals online. 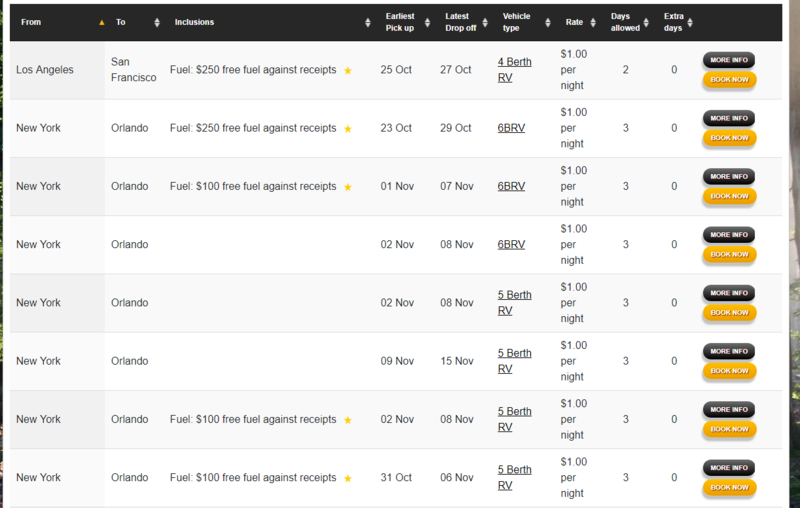 So if that doesn’t bother you, most of the deals you find here will be less than $25 a night, with a lot of them offering up to $100 to $250 in free fuel. Check this list daily or even consider joining the waitlist as it updates frequently. Aside from imoova.com and Apollo, Cruise America, quite possibly the biggest RV rental company, is one of my favorites go-to whenever I need to find a potential RV rental. Now, while you can reserve an RV in almost every state, you’re not going to save when you simply book an RV for a destination of your choice when using the company’s search tool. Instead, you’re going to want to take a different route and browse the companies rental deals page, which you can see a prominent link on the left-hand side of the website (if on a desktop) when you visit, or in the case of a mobile phone, you can find the link by clicking the menu bar (three lines) in the upper right-hand corner. If you live or don’t mind “rolling” out or into Arizona or Florida, then you’re in luck since the company almost always has amazing deals if you’re willing to deliver an RV away or to these two states. For example, at the time of writing this, I found a few RV deals that rolled in Arizona for $24 a night PLUS 3,000 miles for free if you’re were able to drive the RV from Orlando, Florida to Mesa/Phoenix, Arizona. Doing the math, in that particular example, the company was able to give you nine free nights and 3,000 miles for free. So let’s say that you wanted to spend all nine nights on the road and you plan on camping along the way to Arizona. As a bare minimum just to get you from Orlando to Phoenix in the RV could be about $1,326, but this would not include the food and the additional add-ons (insurance, bundles) you purchase from Cruise America and any entertainment along the way. Plus, it wouldn’t include getting back. It’s hard to give an estimate in that regard since I don’t know if you would rent a car, fly or take a bus. And, I don’t know how many people are tagging along. While the deal can be great, you just have to remember that it can add up, even though you see “free/discounted” nights and included miles. Want to just stay in Florida and don’t like the idea of a one-way rental? That’s fine as the company does offer greatly reduced Florida deals for certain cities, with nightly rates as low as $40 depending on where you to stay. Simply pick up AND drop off the RV at the same location. Like the Florida or Arizona deals I just mentioned, the company often offers one-way Canadian deals, in which you will often travel throughout Canada, but in some cases, you may be asked to travel to the United States. Using this strategy, you will need to choose from a defined list, and if you see a destination you want to take advantage of, you can make a reservation via the company’s form. Again, act fast as a good deal will go fast. Just like the Arizona/Florida deals, the nightly rates are discounted quite extensively. 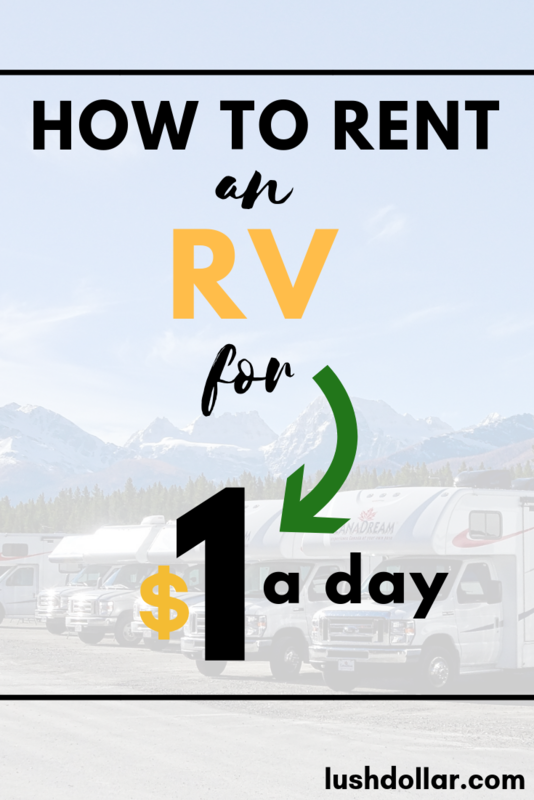 By far, this is one of the best ways to save on an RV rental if you live outside of Arizona or Florida, in my opinion, however, there is one hurdle. Since it’s a one-way rental, you need to depart from a city on the list AND you need to return it at a specific location. These destinations change almost daily, so I recommend you click on the “hot deals” page and then the “one way rental specials” link to see which offers are currently available. If you see one you like, then it’s best to act fast since these deals do not last long. Now, while you will need to find a way back, these one-way rentals are sometimes marked as much as 95% off and you’re only responsible for the gasoline. According to the company’s mileage page, if you’re willing to rent an RV from any of the company’s North American RV Rental Centers, they will apply a 25% discount on the mileage. To take advantage, there are often certain departure time restrictions and in some cases, you may need to use a promo code. The company seems to heavily promote rentals in Arizona and Florida and it’s probably for good reason seeing these states have wonderful weather and a lot of awesome camping opportunities. If you want to solely camp in that region, then these lists can showcase nightly rates as low as $40, and this can be a great option for those who do not want the one-way rental and want to stay in one region. 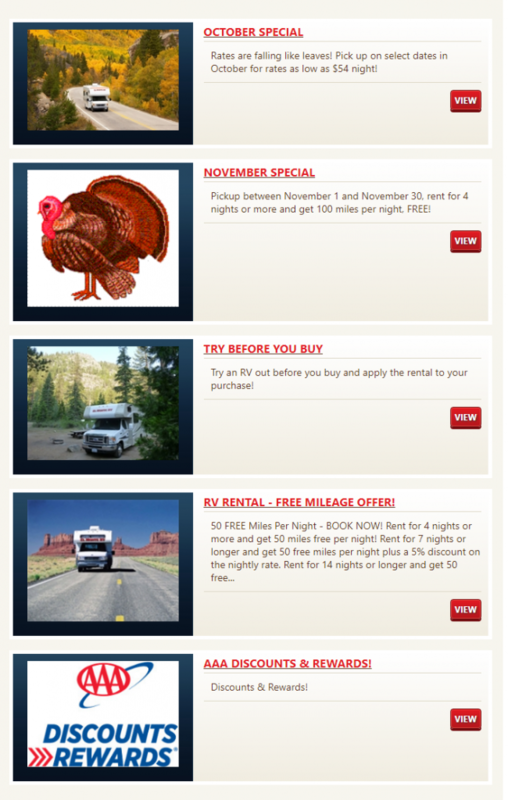 Like Cruise America, El Monte RV, another big RV rental company, offers a full list of RV rental deals. 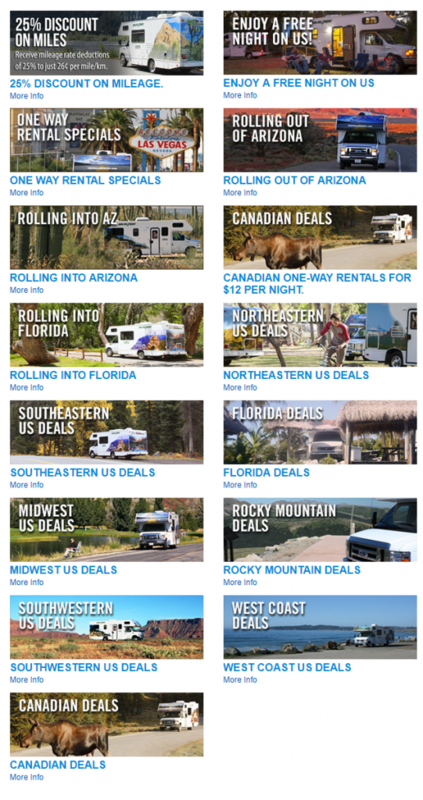 Ranging from free mileage to one way RV rentals and more, you can head to the company’s RV rental deals page to see which offers are currently available. For example, when I glanced at that special page, I found rentals for as little as $54 a night, while another deal would throw in 100 free miles if you rented for more than four nights. Honestly, the deals were not as great as Cruise America and were not as specific as well since they made you call a toll-free number or play around with the search engine to find the deals. 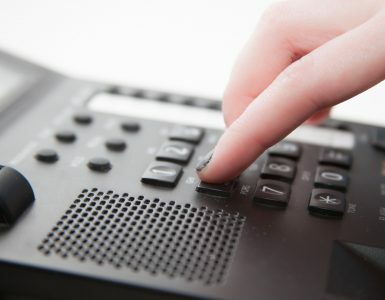 But, as long as you don’t mind playing around with the search deal and/or calling the toll-free number, then you may be able to find a deal that works for your trip. Your results may be hit or miss with VroomVroomVroom.com, depending on where you live, but when I searched, I was able to find a few motorhome options at a pretty decent price. And unlike a lot of the websites I list here, VroomVroomVroom works outside of the United States as well, making it a great choice for those who may want to rent an RV outside of the U.S.
Just like Cruise America, the company also offered a “deals” page, similar to that of Cruise America, where you could browse particular deals if you didn’t have a destination in mind. Glancing at this list, it includes long hire deals, early bird specials, and free mileage specials. Road Bear RV had a limited number of pickup locations, but a lot like El Monte and Cruise America, the company had a few specials you could browse, including round-trip specials, all-inclusive specials and even one-way deals. The one-way deals, for example, included a waived preparation fee, no one-way fee, and even a free convenience kit, making it quite the deal. 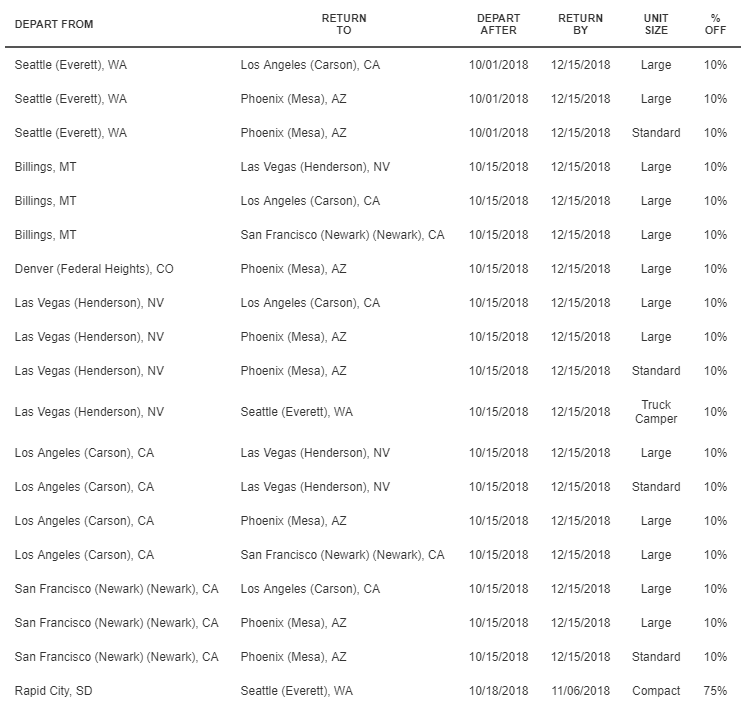 Most of the deals appear to be on the one-way specials page, but if you live in one of the many states the company services (Denver, Los Angeles, Las Vegas, New York, Orlando, San Francisco and Seattle), you may want to check the company’s deal page out to see if you can snag something worthwhile. 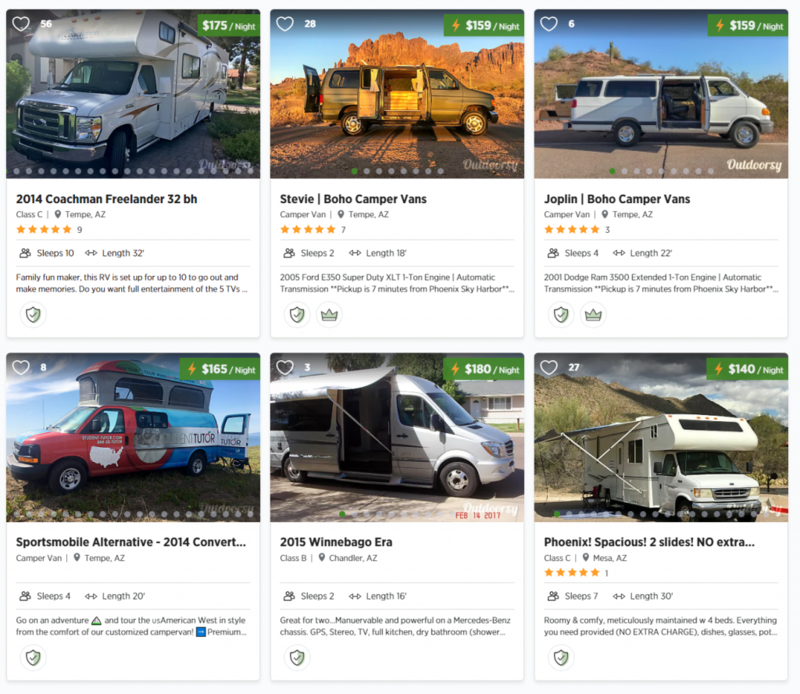 From the looks of it, transfercarus.com is just starting out and appears to have a limited selection, BUT if you want to rent a car or an RV in some cases for next to nothing, sometimes as little as $0, you may want to join the list or even check out the website for more information. Again, the website focuses a lot on rental cars, but they do partner with other companies, such as Jucy and Escape Campervans, companies that may request someone to move their campers. Jucy RV Rentals, which specializes in campervan rentals, rather than RVs, also has a relocation page, which is similar to that of imoova.com and Apollo I mentioned above. According to the company’s page, the rates can vary, but the daily rate does include 24-hour roadside assistance and basic vehicle coverage. The options were slim when I checked it out but can greatly change depending on the time of the year. Be sure to check out the list frequently since it can change almost daily. Working a lot like Airbnb, RVShare.com allows you to search for cheap RV rentals near you, and I would recommend you use this website if you cannot find a one-way deal that makes sense for your trip and you exhausted all of the options mentioned above. Whether you want to rent an RV near a campground you plan on staying at or want one near your hometown, the process is simple. Search for the city you want to rent the RV in, followed by the pickup and drop-off date. And with this information, you will be presented with a variety of options, ranging from a class A motorhome to a class B, class C and even travel trailers. 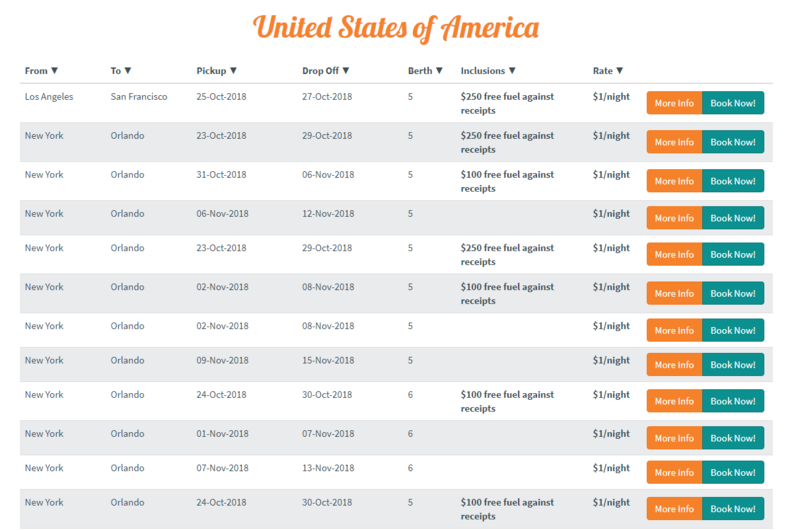 Living in Arizona, I played around with the search tool and seeing it’s one of the best times to camp right now (October) as I write this, I was presented with more than 500 choices, which ranged from as cheap as $60 a night for a pop-up camper that needed to be towed to as much as $525 a night for a 44-foot class A motorhome. If you do consider this route, you need to budget for more than just the nightly fee as the website will tack on a cleaning fee, propane fee and insurance, which, when combined, can add another 20% to 30% to the total bill. Just be sure to read the fine print to know your final costs as each listing can vary. Outdoorsy.com, a lot like RVShare.com, works in the same way. The website will ask for a destination where you want to pick up your RV, the pickup date as well as the drop off date. Searching the same exact dates I did with RVShare.com, I noticed the price range was similar, but the selection was around 400 choices instead of the 500 on RVShare.com. Regardless, it doesn’t hurt to add this website to see if there’s a listing that isn’t one or the another. While Outdoorsy has potential, what I didn’t like was that I couldn’t search by the cheapest rental; instead, I could filter my price range. This just made it a pinch harder to browse through the choices. The same could be said about the selection. When I did filter some choices, for example, it would list rentals 500+ miles away. Just like RVShare, be sure to add another 20% to 30% to the total booking rate as taxes and fees, plus the additional miles if you go over, needs to be added to the total bill. 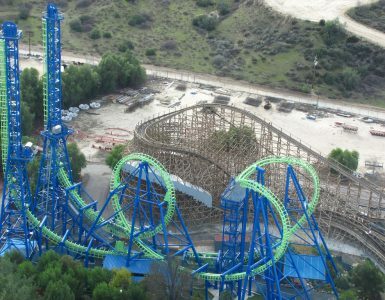 Again, it could be a great option if you’re not interested in the one-way rentals. Sadly, I cannot list every RV rental option in the United States as there are hundreds of retailers/dealers that often rent out a select few of their RVs. If you’re lucky enough, you may find that a local city near you that may have a local mom and pop option which may have RVs available for rent. To find these dealers, I highly recommend this free GoRVing.com search, where you can either insert your zip code or a city to find a dealer that has this option. If any are available, it will present you with the company’s name and the contact information. From there, it’s your job to contact the company for choices and pricing information. Touching upon the Go RVing search engine, a simple Google or even Yelp search can yield some great results as well, especially if you want to be specific with your results. For example, let’s say you wanted to rent an RV in the Denver area. Searching for something along the lines of “Denver RV rental” could bring up local dealers that I didn’t list here. While you will still see most of the websites I noted above, there could be a local company that’s worth checking out. You would think that you would need a special license to drive one of these big rigs, but this isn’t the case as a regular drivers license will suffice. 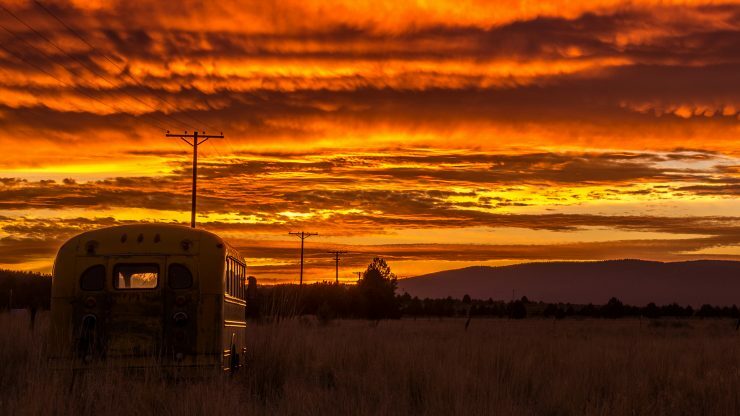 However, most RV rental companies will ask that the renter is at least 25 years old. What are all of the additional costs I should consider? Extra mileage fee (most include X amount of miles) and if you go over, it can be as much as $0.50 per mile. Add-on kits as most RV rental companies will include all of the necessities needed to camp, such as a kitchen kit, linen kit, etc. Optional, however! All of these vary, so be sure to know about these fees in detail before booking your RV. How many days can I get with a relocation deal? Usually, with the one-way specials, the companies are very restrictive and the number of days will depend on your destination. If it’s 1,500+ miles, then the company often includes up to 9 days; however, if the trip is less than 500 miles, you may only receive three to four days. The results vary, but most of the companies I list will tell you ahead of time how many days you can receive with your reservation. This will vary from company to company. Some may offer basic coverage for free, while others may ask you to purchase a separate optional policy. For example, Jucy would charge $25 per day for coverage. IF you have a credit card that offers car rental insurance coverage, you may want to check with them ahead of time to see if RVs are covered. Always ask the company to know about their policy as each company will be quite different. Do I get unlimited miles? Like the days allowed, MOST companies offer a set amount of miles, but they are generally pretty generous. For example, when I was writing this, one Cruise America listing included 2,000 miles if you traveled from Rapid City, South Dakota to Phoenix, Arizona. To put it in perspective, the entire trip straight through without any detours is close to 1,300 miles, meaning the company was willing to let you travel another 700 at your own leisure. Not bad! From all of my research, the best deals will always come via one-way rentals. And yes, while you need to find a way back, you need to remember to add in either the rental car or airline tickets to get back home to see if it really makes sense. A lot of the times, these one-way rentals are almost free, meaning you just need to budget for the gasoline and camping, but if you really want to be frugal, you can camp for free at the thousands of campsites listed on FreeCampSites.net. As long as you plan ahead of time, you could really save as there are so many places you could camp along just about any route. Now, if you don’t like the idea of a one-way special, that’s fine and I understand. If so, then I would recommend you consider RVShare or Outdoorsy to find a rental from a private owner. While you could use Cruise America or other companies, I found that most of the time, the private route was often much cheaper. Plus, it was easier to deal with the owner than the company. And if you do rent from a private owner, just make sure you’re well aware of the additional fees and the restrictions, such as the number of miles allocated, etc. In the end, renting an RV for free or for next to nothing can be done, but just remember to factor in the additional fees to get back in the case of a one-way rental or the additional fees if you were to bring the RV back to the original pickup location. 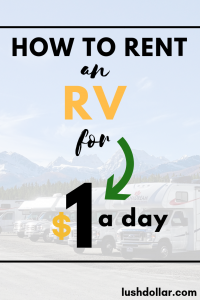 I will continue to add resources to this list, but in the meantime, if you know of any other RV rental companies, I’d love to hear about them below!